I Let You Go by Clare Mackintosh is a gripping psychological thriller that will definitely have your heart racing. The whole novel consumed me and messed with my emotions. I Let You Go was not a nice read. It is not an easy read but it is a powerful read about manipulation, fear and a total annihilation of character until only a puppet remains. The themes of murder, abuse and control do not make for peasant reading but the reader is gripped to see the outcome. The novel is told through various voices – some in the first and some in the third. I assumed who the voices were and sometimes was surprised that my assumptions were wrong. All very cleverly done. Certain characters elicited a response of sympathy, others I disliked. They were all well drawn and realistic. Lives are complicated. What we see is not always a true representation of who we are. Real life is rarely easy and often messy. Work also brings responsibility that clashes with family. 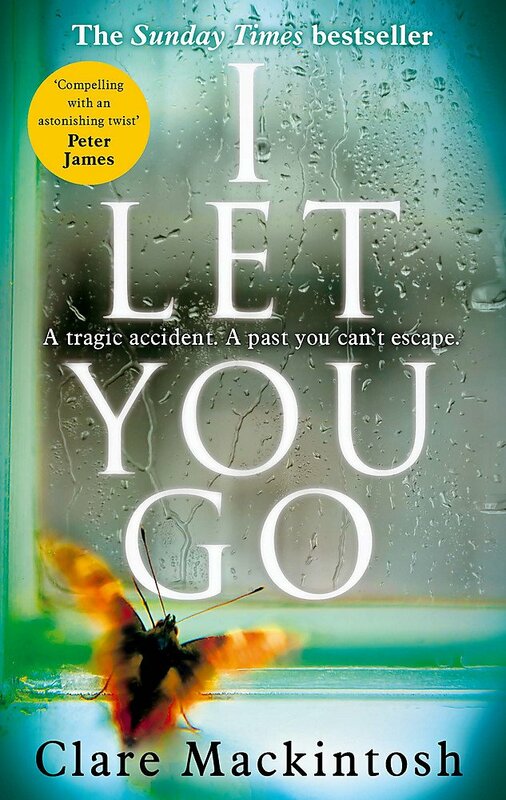 I Let You Go is a gripping read that will have you checking behind doors before bedtime. Do not go to sleep alone.